Assumption Cathedral is the principal Roman Catholic church in Thailand and the main church of the Archdiocese of Bangkok. 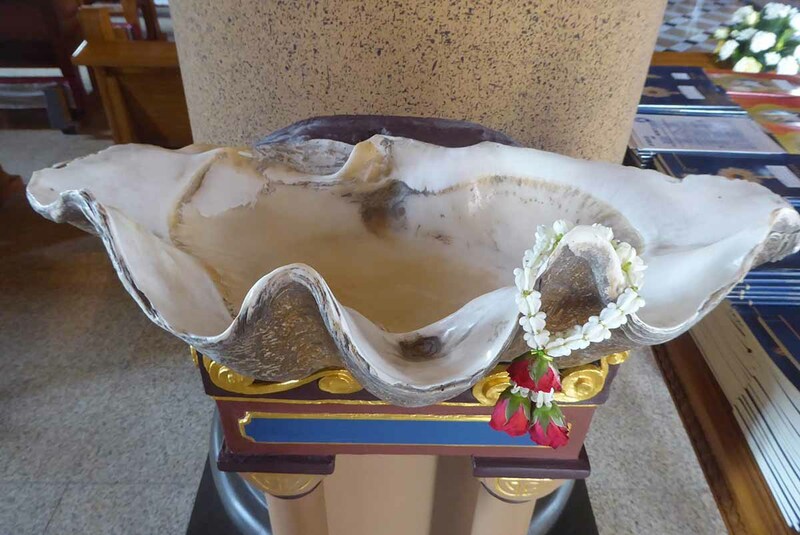 In 1984 it was visited by Pope John Paul the second during his Thailand tour. 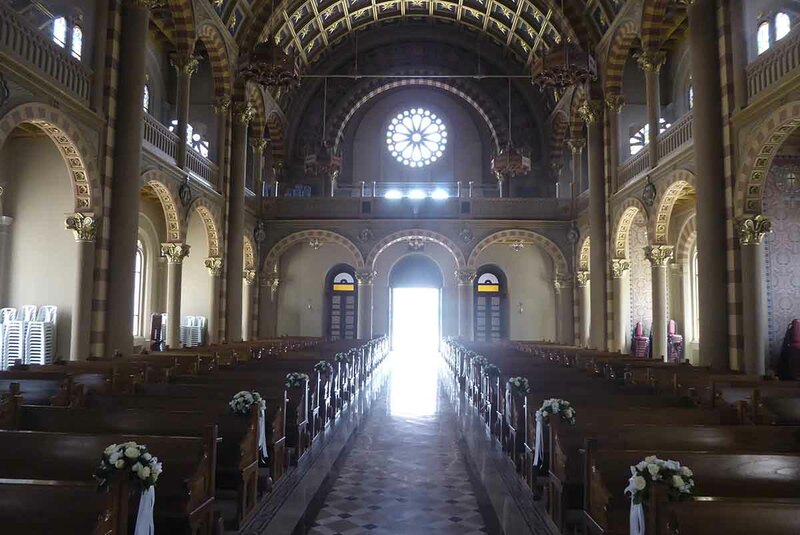 The existing structure was built between 1910 – 1918 and consecrated the following year. 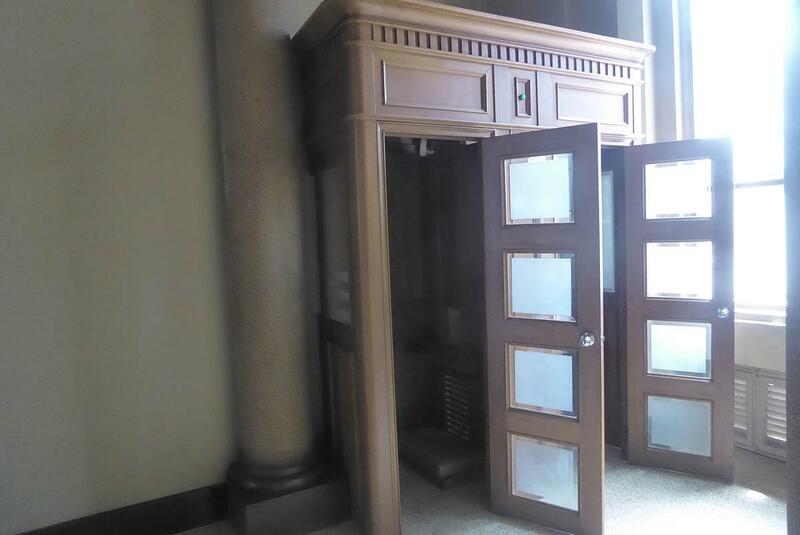 A French architect designed the plan and the materials used included Italian marble and French stained glass along with locally sourced materials. The structure was renovated after world war two due to damage from bombing during the war. The structure is in a mixed architectural style. The outside of the structure is Romanesque with the impressive twin towers. 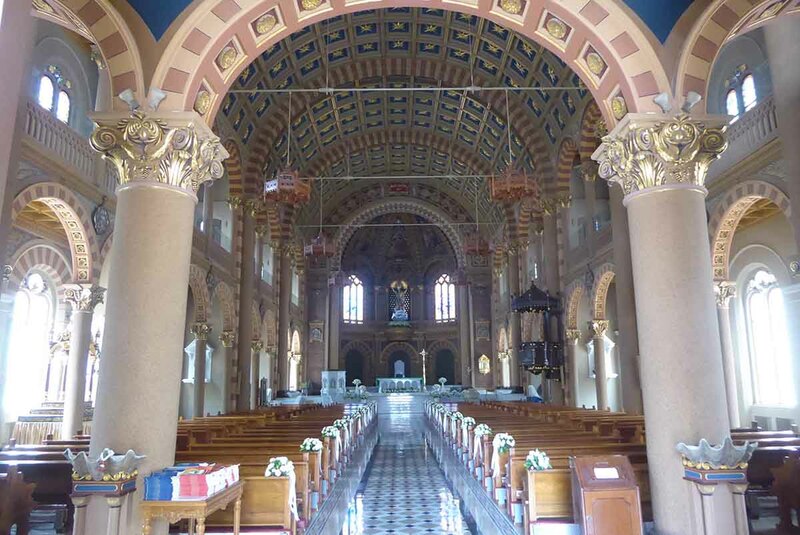 The decoration inside is a mixture of Romanesque and neoclassical with religious related paintings and patterns. The side altars have statues of different saints and of the life story of Jesus before he died on the cross. 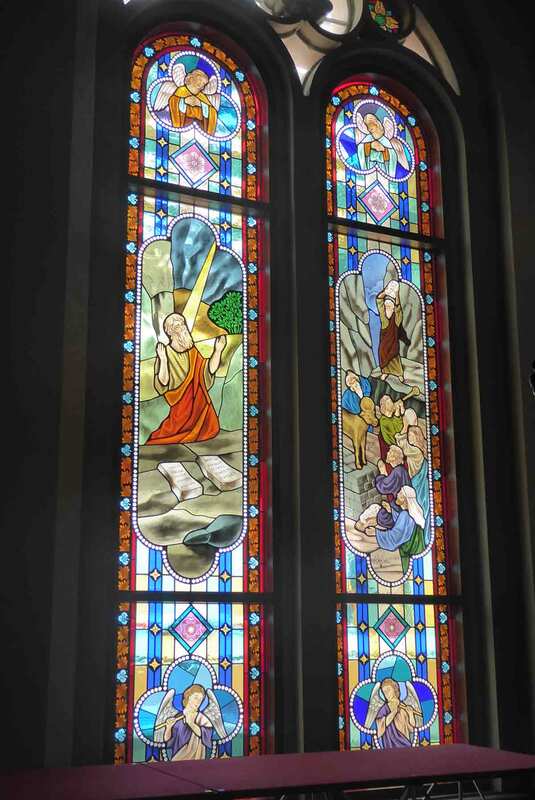 The stained-glass windows around the Cathedral show the life of Jesus and Catholic beliefs. The ceiling is decorated with gold color stars which mean guidance or God’s favor. Outside the church, either side of the entrance doors are bronze statues of Pope John Paul the second and Saint Peter. 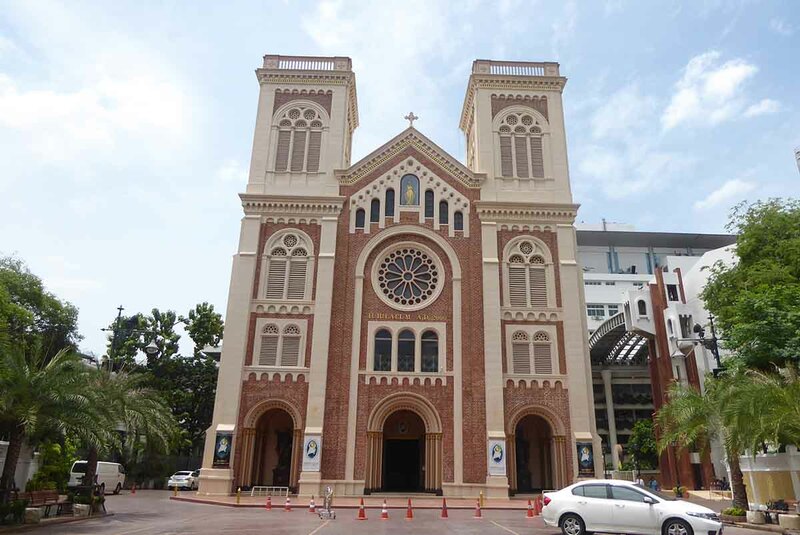 The Cathedral is in the grounds of Assumption College and access is via Charoenkrung Road, Soi 40 near the Oriental Hotel. The Cathedral is open daily for visitors during daylight hours. 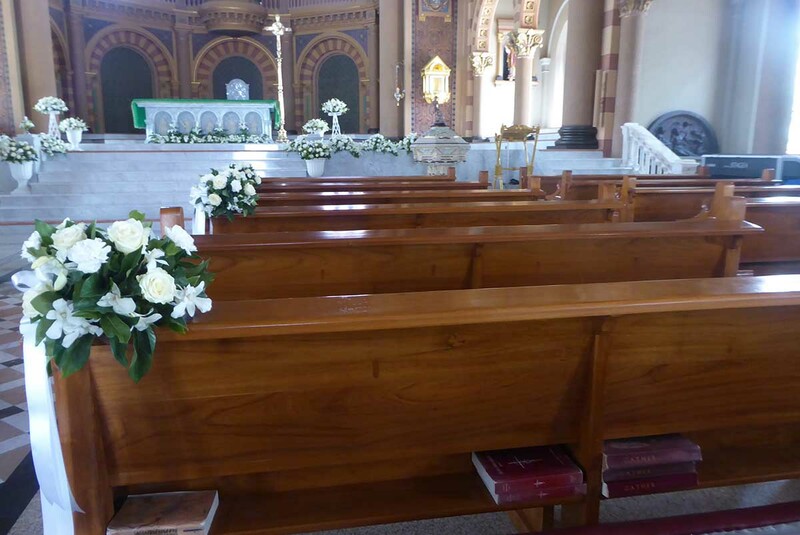 Services are held in English on Sundays at 10:00, and in Thai at 06:00, 07:30, 08:30 and 17:00, as well as on weekdays at 16:00 and 17:15. All are welcome. Location: 23 Soi 40, Charoenkrung Road. Opening Hours: Daily during daylight hours. Boat to Oriental Pier N1 which is at the river end of Soi 40.